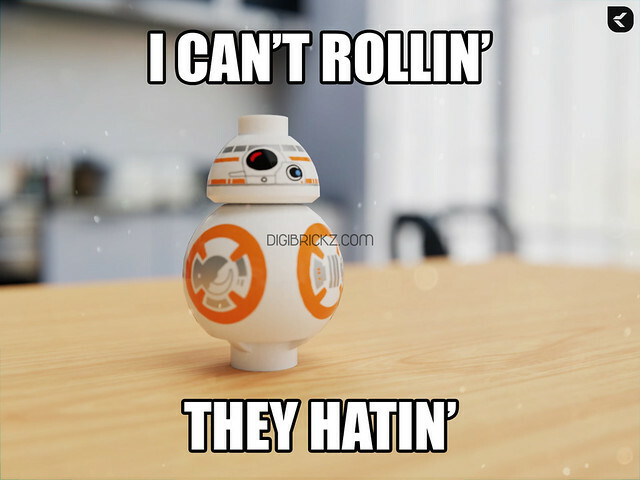 Yes, the LEGO version of BB-8 can’t rollin’ because of the stud (except if you use this crazy technique)! This is an old idea from me and I have created the similar post one year ago, but since the quality of the image is low, I had to recreate it into a high-quality and photorealistic render since it was a great meme idea. And to get the job done, I try to edit and composite the raw image to a more realistic one. The result is worth it even though it’s just a render of a two parts figure. Related Posts of "Can’t Rollin’…"